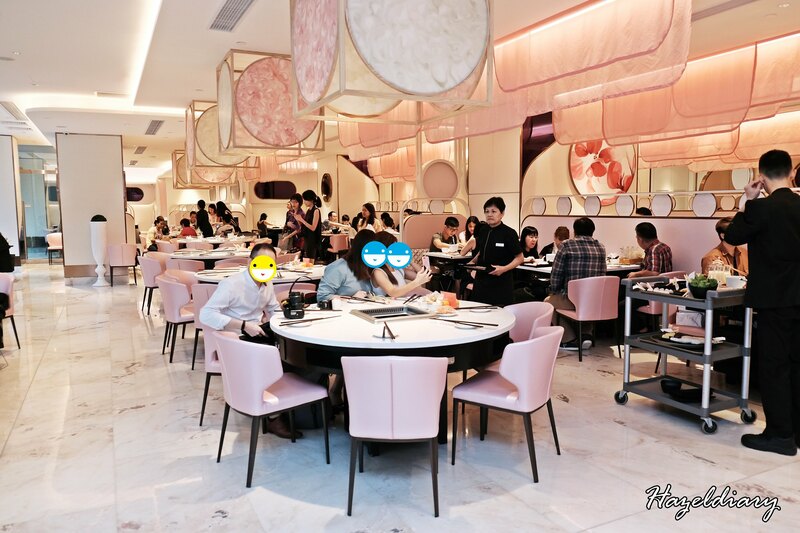 [SG EATS] Beauty in the Pot At One KM Mall- Pink Is The New Black? 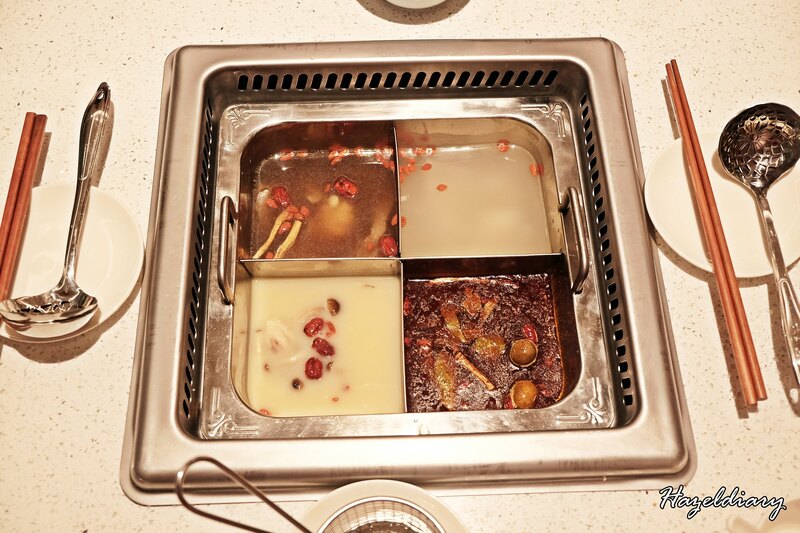 The Beauty In The Pot at One KM Mall is the latest attention in town. This is because the outlet is the latest and largest outlet with pink princess theme. The outlet accommodates 288 seats and is located at Level 3. 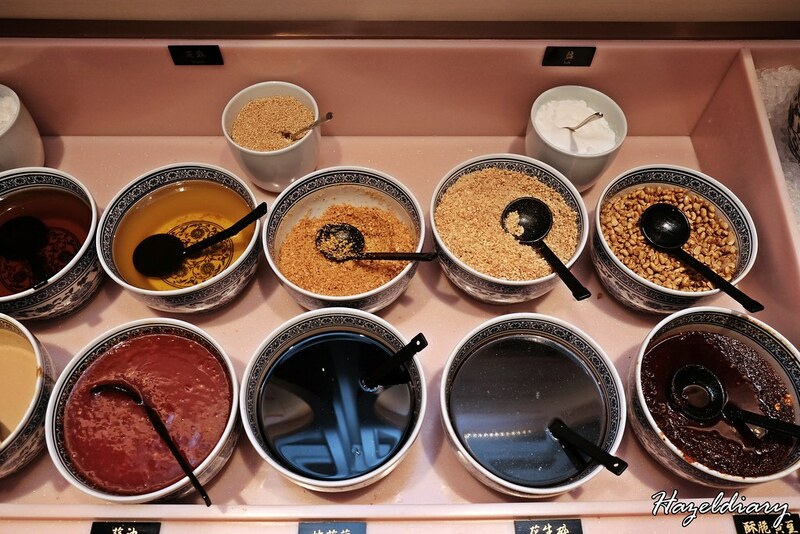 What makes the outlet special other than the pink series is that it offers 6 soup bases instead of the usual 2 or 4 soup bases. Private rooms with individual pots are available for big groups. 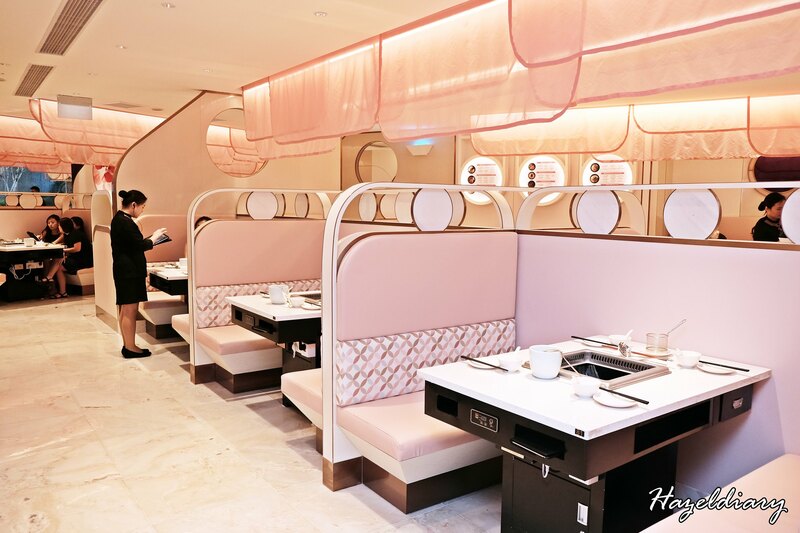 The whole place is inspired by cherry blossoms and perfect for ladies’ outing. 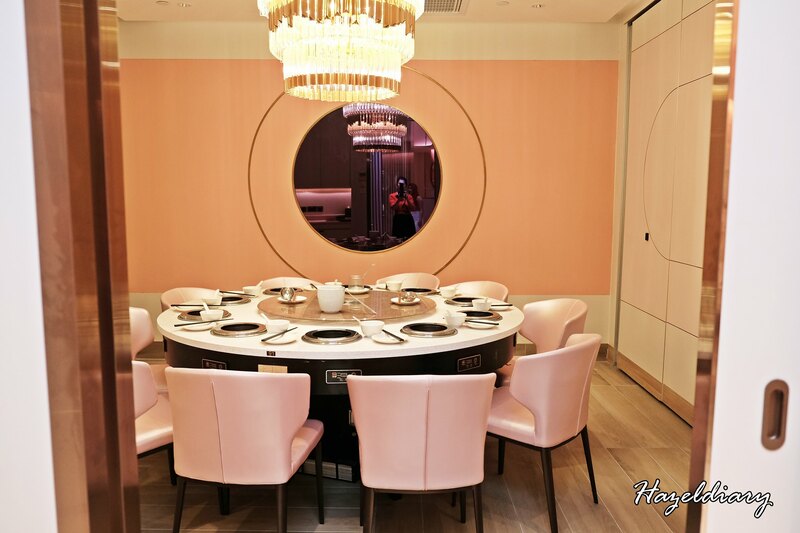 The interior comes with different shades of pink including the walls, ceiling, chairs and also their charging points. For those who love pink, you will certainly find this place photo-worthy session. I also grab this opportunity to take a shot here. The soup bases including the signature Beauty Collagen Broth, Longevity Wild Pine Mushroom Broth, Spicy Nourishing Broth, Vitamin C Tomato Sweet Corn Broth, Herbal Drunken Chicken Broth and Cooling Coconut Broth. And the price starts from S$14.00 and quart pot starts from S$5.00 onwards. Here are our feasting moments during our visit to the outlet last week. 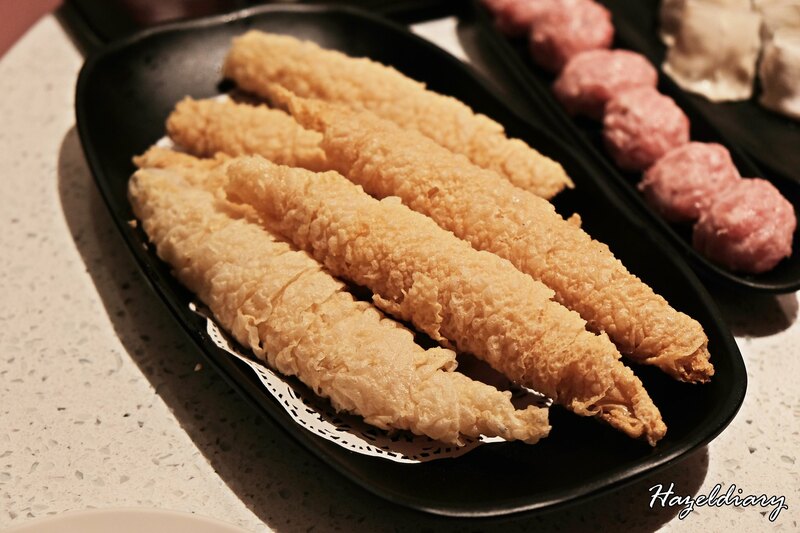 And of course not to miss out our all-time favourite Fried Bean curd Skin S$4.90 half portion/ S$9.80 full portion. Homemade Fish Tofu S$2.00/ pc is highly recommended. 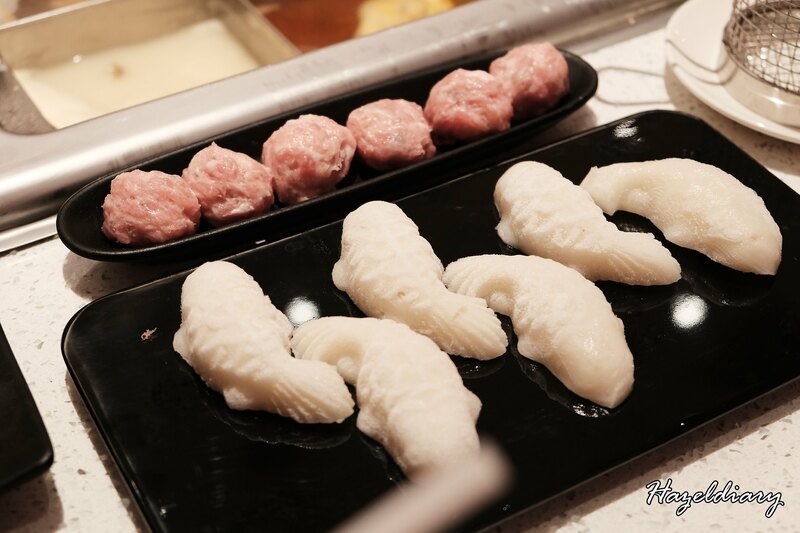 Beautifully shaped fish tofu is made with yellowtail, soya bean and egg white. 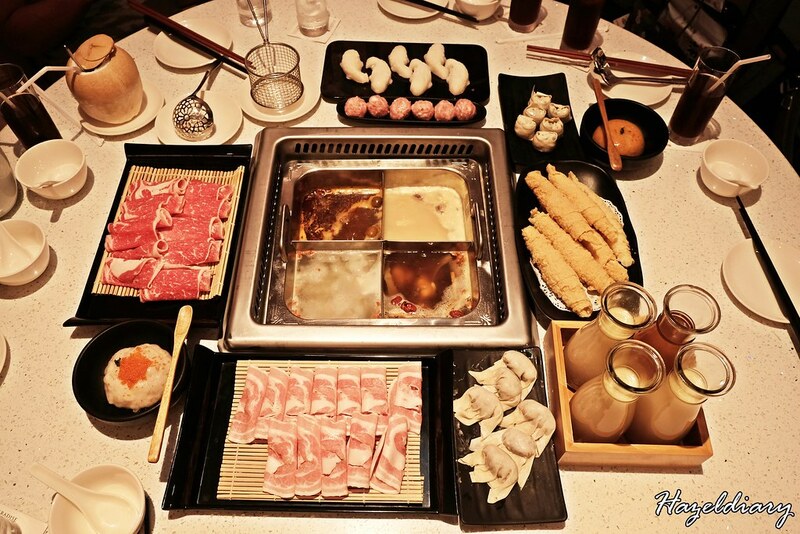 We also had Ebiko Prawn Paste , Otah Paste, beef and pork slices for our hotpot session. It was a great dinner session with foodie friends. 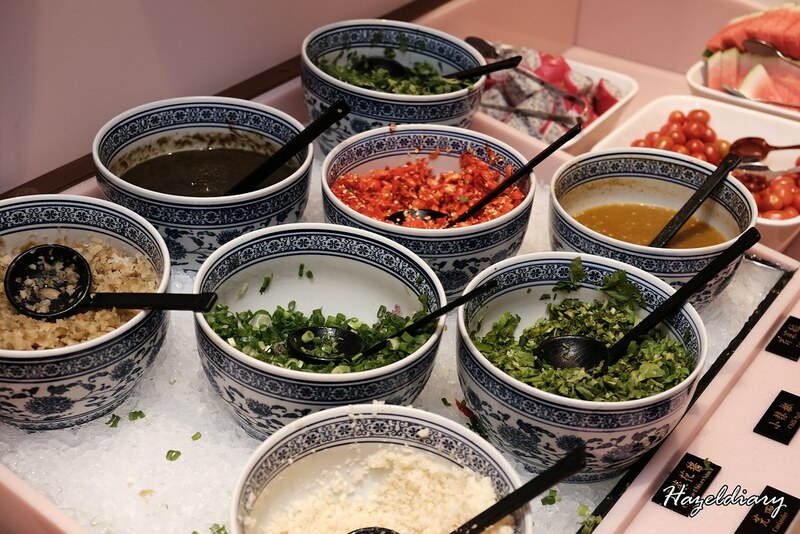 And I would choose Beauty in a Pot over Hai Di Lao. The reason is that I prefer their soup base and the waiting time is shorter. Services wise it depends on outlets to be honest. But based on my experience with Beauty in the Pot, it was pleasant and professional. (P/S: I went as paying customer). Note: There are 2 Beauty In The Pot at One KM Mall. The pink theme outlet is located at Level 3.